Afternoon sunlight shining through the Kari Forest surrounding Gloucester Tree. As the sun lowered in the sky on this late afternoon walk the last rays of warm sunshine are a contrast to the cooling forest. The damp starts to settle in and the warmth of a nearby cottage starts to call. 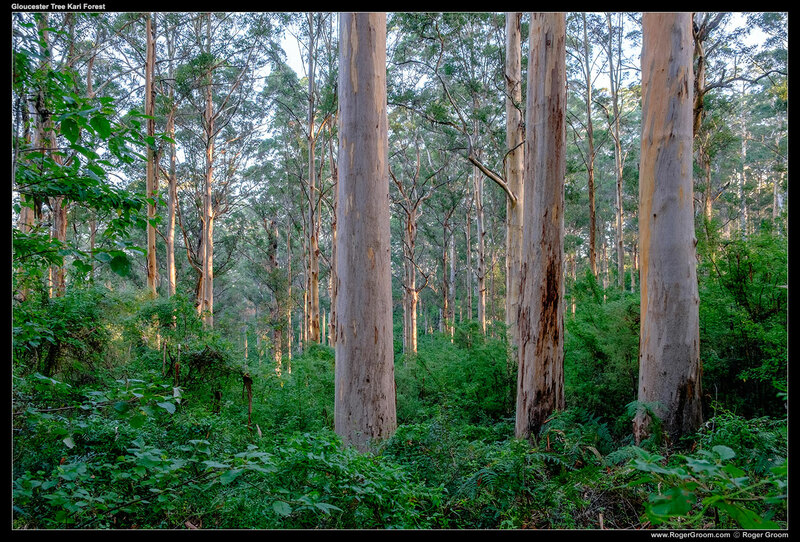 This is the karri forest surrounding the Gloucester Tree in Pemberton and I’m sure this particular view is very familiar to many who walk the short tracks around the tree. I remember the exact scene from years ago. The scene may stay somewhat the same, but the lighting and person taking the photo changes constantly.